Kelley’s Beekeeping is offering Beekeeping 101 and 201 classes at its Clarkson facility in February and March. Each class is limited to 50 people and will last from 9:00 to approximately 3:00. If weather permits, they will do a live inspection of an active hive. Beekeeping 101 classes will be held on Feb. 4 and March 4. 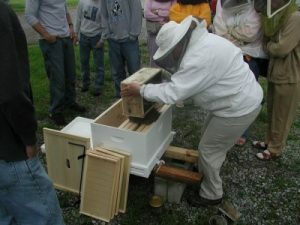 Beekeeping 201 classes will be held on Feb. 18 and March 18. For more information or to register for one of the classes, please follow the appropriate links below.